Although F1 is all about competition, there needs to be a level playing field between the drivers and teams. So, while fairness isn’t perhaps an obvious aim in F1, some equality is necessary, and several rules have been brought in to support this. 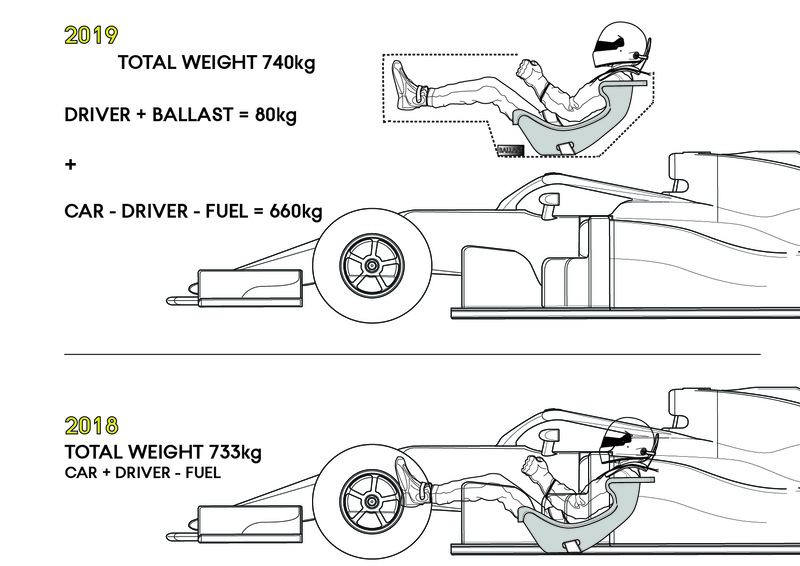 To simplify the scrutineering process and equalize the cars, F1 has mandated a minimum weight for the car, complete with driver (but no fuel) for many years to come. This has worked well so far, as all the cars are theoretically at the same basic minimum weight across the grid. However, issues have arisen with the current heavier hybrid power units, along with the desire for longer wheelbases and increasing weight of the tyres. 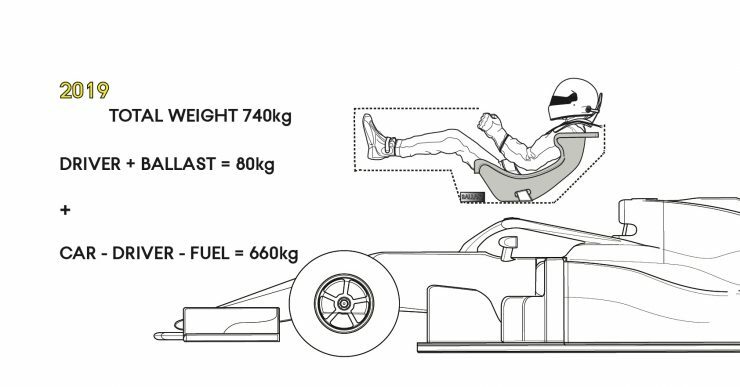 All these factors have led to the weight of the car increasing, leading to pressure on the team to either compensate with an overweight car or a lighter driver. While the former obviously directly hits the car’s performance, the latter risks the driver facing fatigue in an attempt to be underweight for the race. Another issue is that a lighter driver has a small performance advantage, because if the car is overweight their car will be lighter, so if the car is under the minimum weight limit, they can carry ballast to meet the weight limit. This ballast can be placed anywhere on the car, so it can alter the car’s center of gravity (CofG), by being placed low down and/or at one end of the car to tune the front to rear weight bias. A heavier driver won’t have that advantage. So, an easy fix was to set a minimum weight for the driver and another for the car. So, if the driver is at less than the minimum 80kg weight, their car must carry cockpit ballast to meet the lower limit. This means drivers can afford to focus on optimum fitness, rather than be as lean as possible, without performance loss. Meanwhile, the car without fuel and driver must weight a minimum of 660kg, bringing the total weight up to 740kg. Another rule change to balance things up between teams running different engines is to limit oil usage. Since the fuel limited 2014 power unit regulations were introduced, some teams have been burning oil mist as a means to introduce power boosting additives into the combustion process, additives that would be barred from the petrol formulation. This is a key factor for the so-called ‘party mode’ engine settings used in qualifying and tactically through the race. Although rules have been introduced over the past few years to reduce this practice, loopholes still exist within the regulations. While there are now limits on oil consumption, the rules pertain to the main engine oil tank. 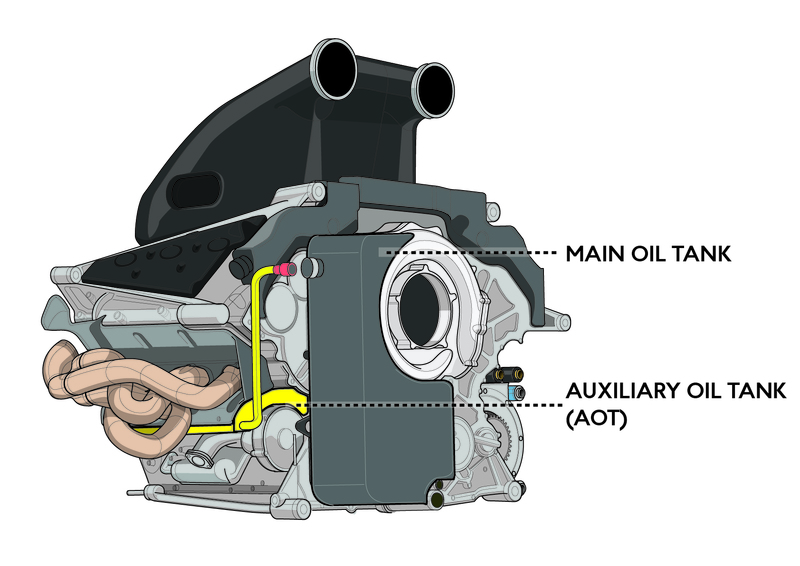 This, therefore, ignores the auxiliary oil tank run by all cars for decades, this second tank introduces extra oil into the main oil circuit as the oil level naturally drops during a stint or race. Now, the Auxiliary oil tank must be empty during qualifying to ensure that extra oil cannot be burnt and undetected for a power boost during full power modes in qualifying. Are Ferrari already on the back foot over team orders? Red flag chaos – is there a solution to Formula E’s biggest problem? A great book for your entire family. Solve a mystery and learn about motorsports along the way! We're looking for bloggers, journalists, authors, photographers, and just motorsport fans to contribute content. It's a lot of fun! Contact us today for more info.